We have been very remiss in posting this, but are now making up for it (we hope!). The latest issue of Persuasions On-line, JASNA’s electronic journal published yearly on her birthday and also at other times throughout the year, is available on the JASNA website. Several of the essays are from presentations given at the 2010 AGM in Portland, some of which we attended and had a good time re-reading, such as Friend of AustenBlog Allison Thompson’s presentation on the Rules of the Assembly, which was both amusing and informative. The Rules were necessary as the Assembly did not always behave properly. For example when Charles Macklin—actor, playwright, hard-drinker, and womanizer—attended a ball at St. Albans with some friends and two well-dressed prostitutes in 1740, they were at first much admired as they were dressed “expensively,” but when one of the ladies got into a dispute as to the priority of her place in a country dance, “her language and temper soon discovered her profession, and she, with her companion, were instantly handed out of the room and the gentlemen desired to follow.” According to Macklin, “We at first thought . . . and talked of honour and satisfaction, and all that; but numbers overpowered us; and, to avoid the fate of one of our companions, who got a broad hint to leave the room [he was kicked down the stairs], the rest of us made the best of our way out of the assembly-room” (Cooke 13-14). The company’s fine attire had allowed them to enter the ball room, but the inappropriate behavior of the women caused them to be ejected from it. We also thoroughly enjoyed Peter Graham’s paper, Henry Tilney: Portrait of the Hero as Beta Male. We know some of our Gentle Readers are saying “Bwuh?” to that, but seriously, read it. We could have written it, though of course if we had it would be a great deal less scholarly and involve more squeeing and ALL CAPS. Henry Tilney’s resemblances to Darcy, Knightley, and Crawford, all manly men in their different ways, show that he’s no heroine with a Y chromosome, nor even a feminized hero, but rather a man who likes women, knows what women are like, and is comfortable in their company on their terms. Why a child? A child, human but unconscious of the zigzags of adult emotions in adult situations, can apparently mediate, simply as a physical presence, between this estranged man and woman—perhaps as a kind of emblem of the physical union of man and wife. Here though we may well hope that any child produced by Anne and Wentworth will be better behaved and less troublesome than little Walter. Poor little guy, he probably can’t help it. He was named after his grandfather Sir Walter, after all!—another small detail that shows how alert Austen remains, even with these tiny minor characters. Another interesting piece is Linda Robinson Walker’s essay on another possible diagnosis of Jane Austen’s final illness–and one that, unlike some other recent efforts on the subject, seems to us entirely reasonable. Just as a person who has had chickenpox can develop shingles later in life, so too can a person with typhus endure a recurrence. When it reappears, it is a recurrent or recrudescent typhus called Brill-Zinsser disease. . . . We can never know for sure what disease ended Austen’s life. It may be that she died of Brill-Zinsser alone or in combination with another disease. Any combination of infectious agents, together with the devastating stresses of her final years or with the lingering effects—if any—of the childhood bout of typhus, could have been fatal. But it is impossible to ignore the role that Brill-Zinsser might have played since typhus, the source of Brill-Zinsser, is the one illness for which there is evidence in her life’s story. The above is just a taste of what you will find. Persuasions On-line is a great treasure trove of reading on our favorite subject, with everything from scholarly to fun pieces. 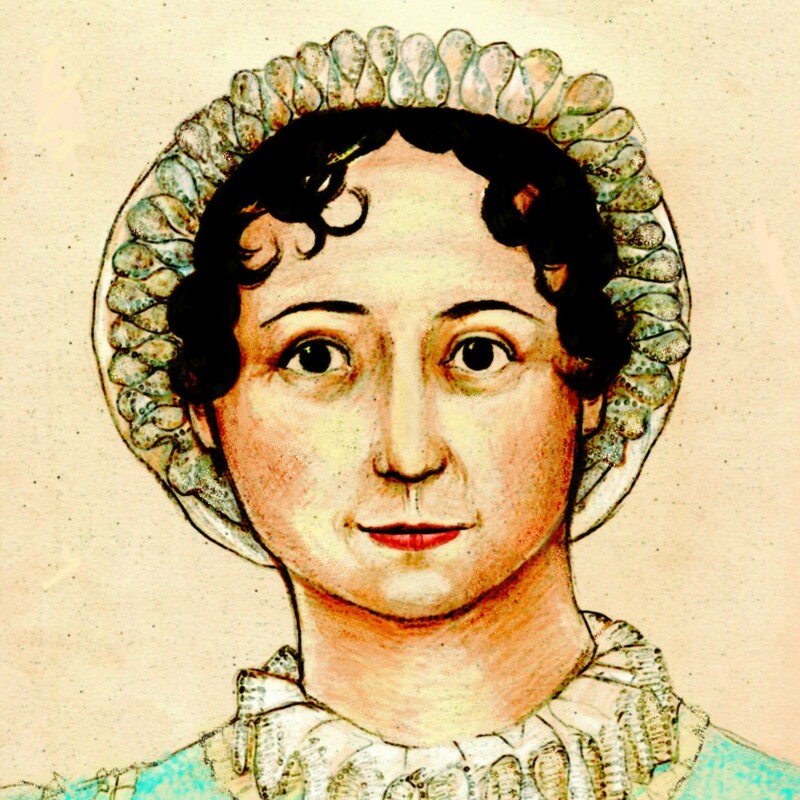 In our opinion, it is the greatest Austen resource currently online. Do check it out, and some back issues as well (not to mention the sold-out issues of the print journal, Persuasions, that have been digitized and placed online).